See this course at SIGGRAPH Asia 2009 on Wed Dec 16 from 1:45 PM - 5:30 PM in Room 511. See this course at SIGGRAPH 2009 on Wed August 5 from 8:30 AM - 12:15 PM in Room 260-262. 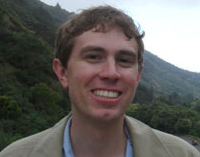 Douglas Lanman is a fifth-year Ph.D. student at Brown University. As a graduate student his research has focused on computational photography, particularly in the use of active illumination for 3D reconstruction. He received a B.S. in Applied Physics with Honors from Caltech in 2002 and a M.S. in Electrical Engineering from Brown University in 2006. Prior to joining Brown, he was an Assistant Research Staff Member at MIT Lincoln Laboratory from 2002-2005. Douglas has worked as an intern at Intel, Los Alamos National Laboratory, INRIA Rhône-Alpes, Mitsubishi Electric Research Laboratories (MERL), and the MIT Media Lab. Gabriel Taubin is an Associate Professor of Engineering and Computer Science at Brown University. He earned a Licenciado en Ciencias Matemáticas from the University of Buenos Aires, Argentina in 1981 and a Ph.D. in Electrical Engineering from Brown University in 1991. He was named an IEEE Fellow for his contributions to three-dimensional geometry compression technology and multimedia standards, won the Eurographics 2002 Günter Enderle Best Paper Award, and was named an IBM Master Inventor. He has authored 58 reviewed book chapters, journal or conference papers, and is a co-inventor of 43 international patents. 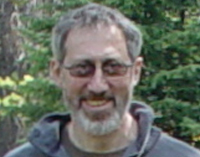 Before joining Brown in the Fall of 2003, he was a Research Staff Member and Manager at the IBM T. J. Watson Research Center since 1990. During the 2000-2001 academic year he was a Visiting Professor of Electrical Engineering at Caltech. His main line of research has been related to the development of efficient, simple, and mathematically sound algorithms to operate on 3D objects represented as polygonal meshes, with an emphasis on technologies to enable the use of 3D models for web-based applications.